After digging up hundreds of samples of frozen soil in Siberia, a group of researchers took the permafrost sections back to their lab, and found tiny worms in the soil. The permafrost sediment was 40,000 years old by the scientists’ estimate. And, they discovered, the frozen worms, called nematodes, were not dead but preserved. They thawed the nematodes, which are from the Pleistocene era, and are now releasing the news that the 40,000-year-old life forms were, once revived, able to move and eat. The sites they took the samples from are in Yakutia, which is reportedly the coldest region of Russia. 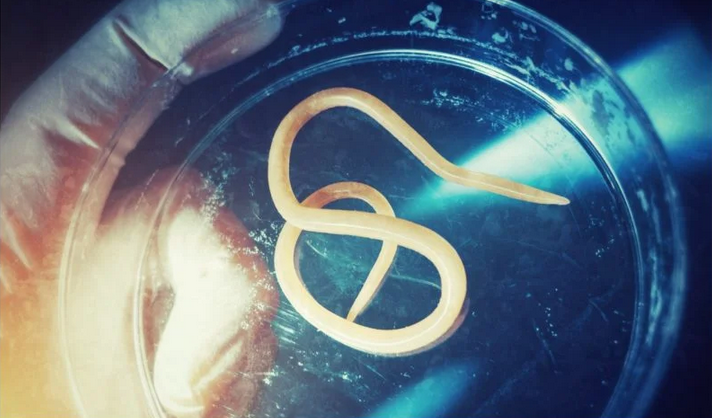 The nematodes were nurtured back to life in a laboratory at the Institute of Physico-Chemical and Biological Problems of Soil Science, which is near Moscow. A team of Russian researchers worked with geoscientists from Princeton University to analyze over 300 frozen worms to find suitable candidates. Two species were viable for reviving.